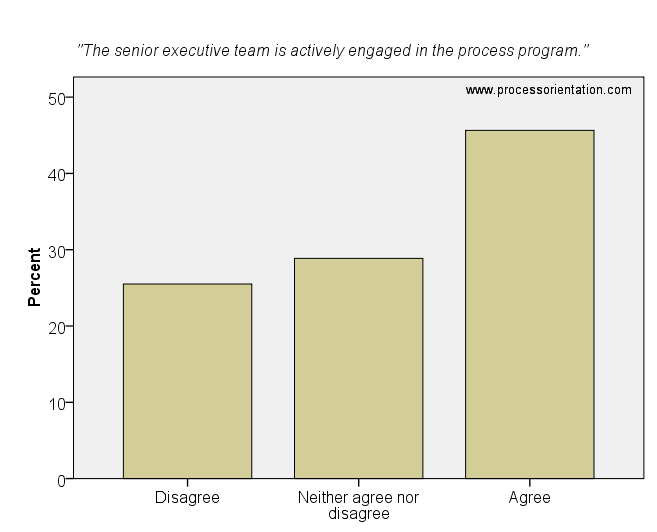 In the process approach, it is the process which comes to the fore, and not the existing organizational structure (Becker et al., 2004).This article discusses the concept of structure follows process which was investigated by the process management survey. 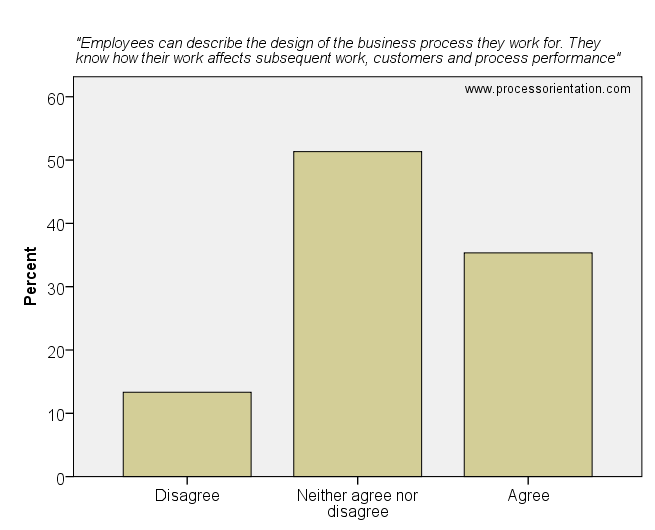 Survey details (research design, sample, etc.) can be found here. 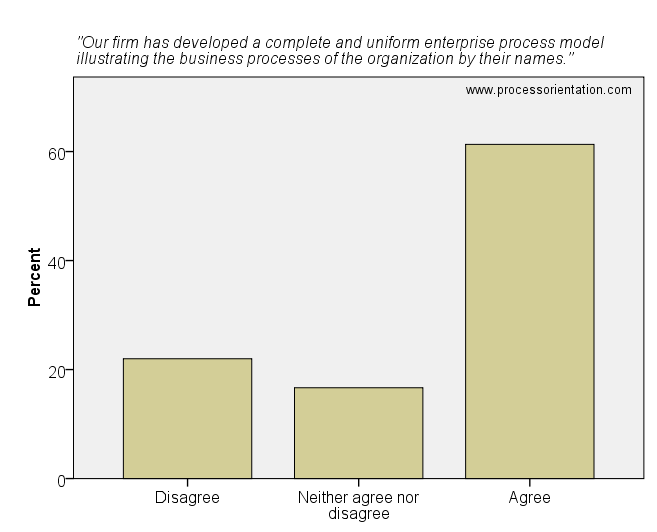 A process-oriented organization has adapted its structure to the process view. 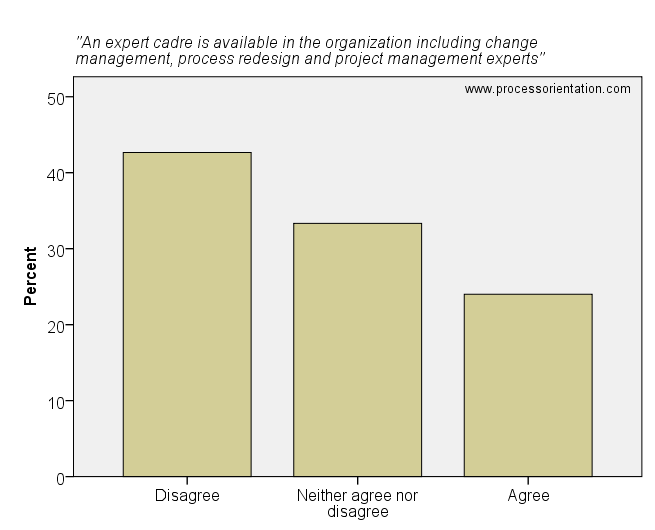 Several authors stress that the organizational structure should be aligned with the organization’s business processes (Suter, 2004; Gaitanides, 2007; Kiraka and Manning, 2005). 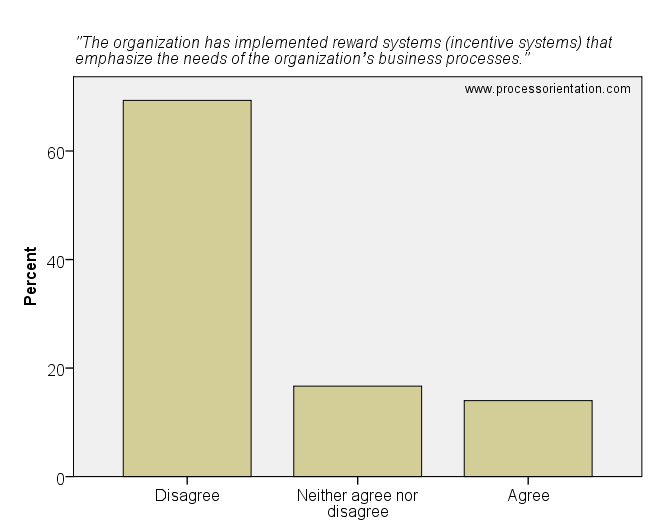 45% of the surveyed firms state that they derived their organizational structure from the organization’s business processes. 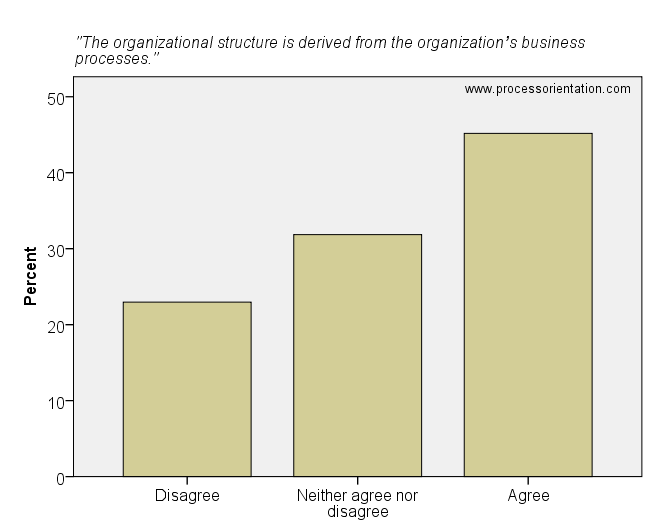 The organizational structure is derived from the organization's business processes. 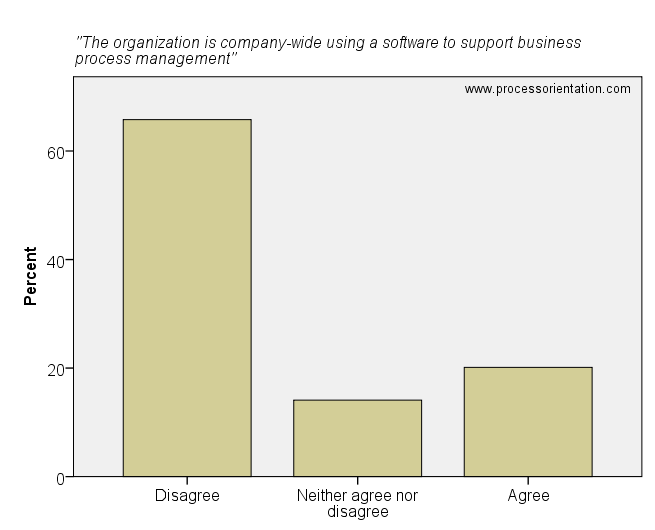 A business process management software is a software tool that facilitates activities such as modeling, analysis and enactment of business processes (Reijers, 2006). 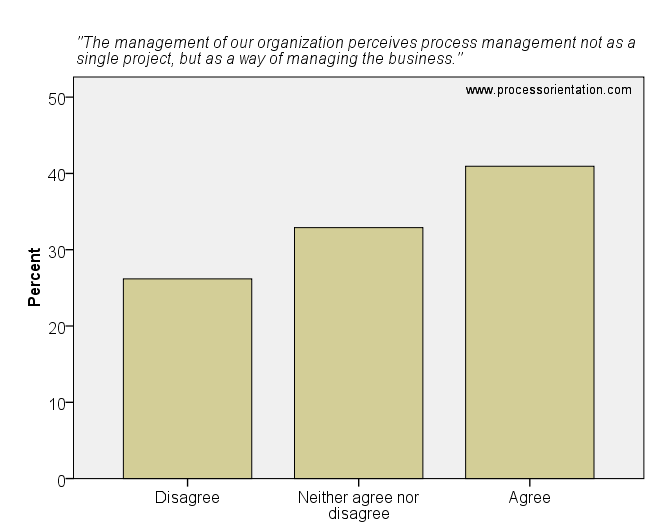 This article discusses the results related to business process management software of the process management survey. Survey details (research design, sample, etc.) can be found here. 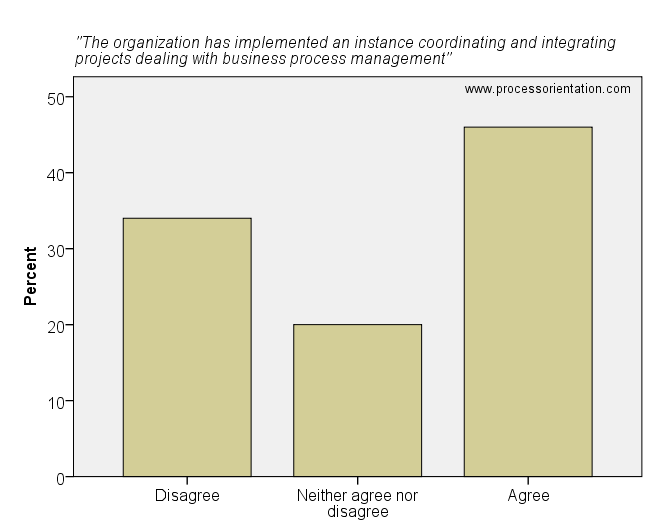 The organization is company-wide using a software to support business process management. 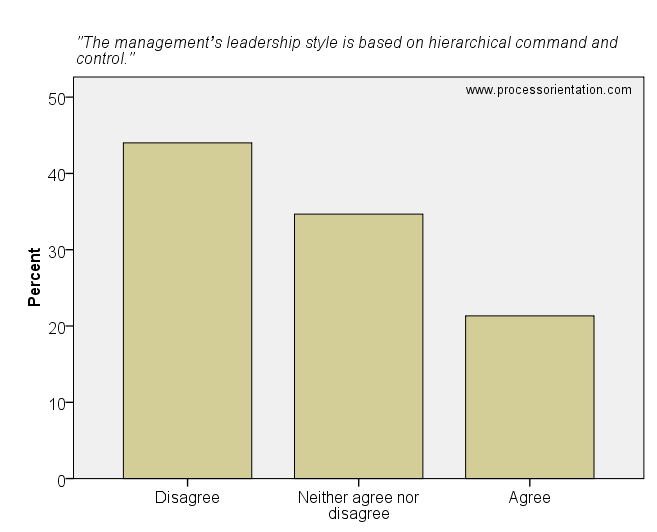 By focusing measurement on processes rather than functions, alignment and common focus across separate organizational units can be achieved (Hammer, 2007). 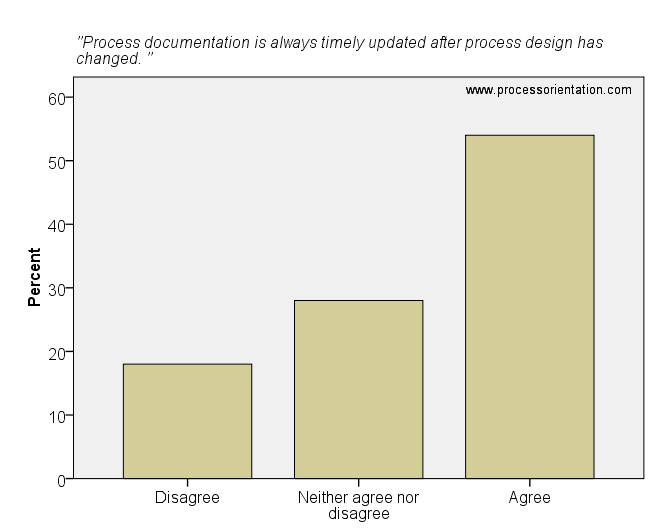 This article discusses the concept of process performance measurement of the process management survey. 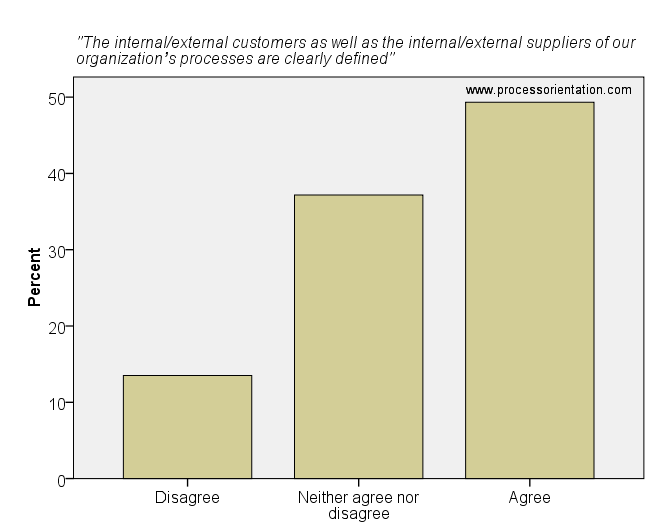 Details on the survey (research design, sample, etc.) can be found here. 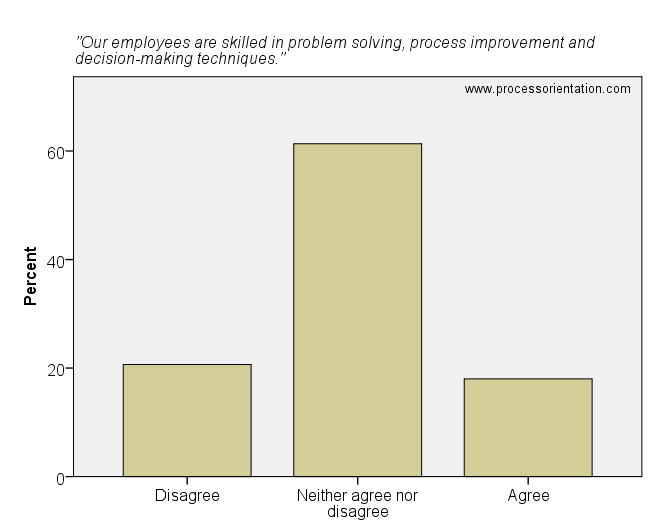 Implementing measures and taking corrective actions are operating precepts of process management (Melan, 1989). 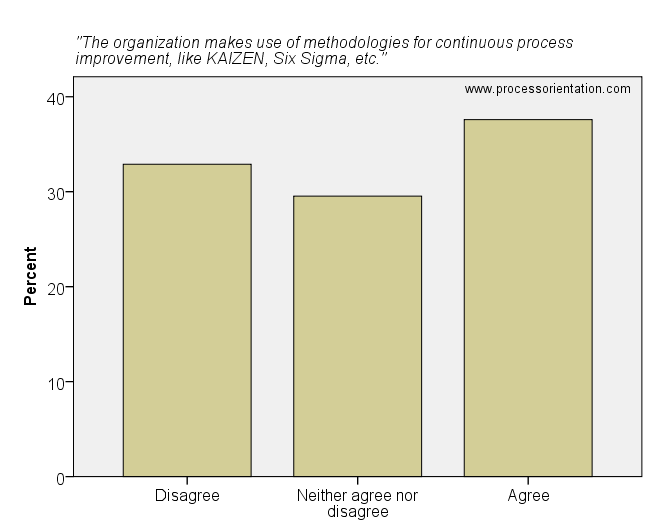 The results of the survey show that the concept of process performance measurement is partly established by organizations (see figures below). 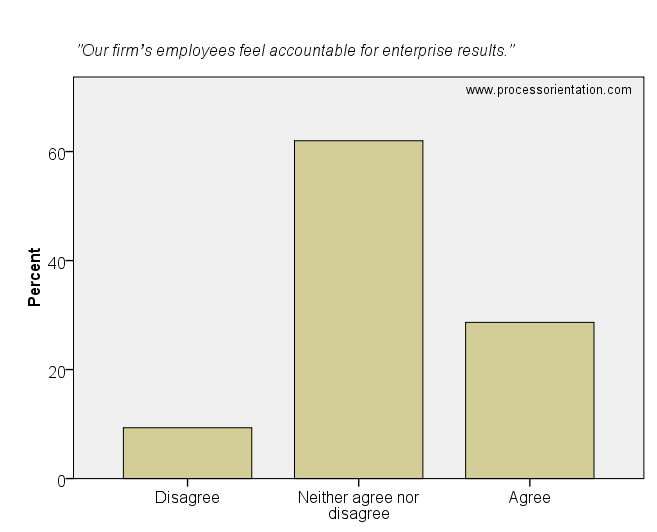 More than 40% of the surveyed firms state that process performance measurement is not implemented in the firm. 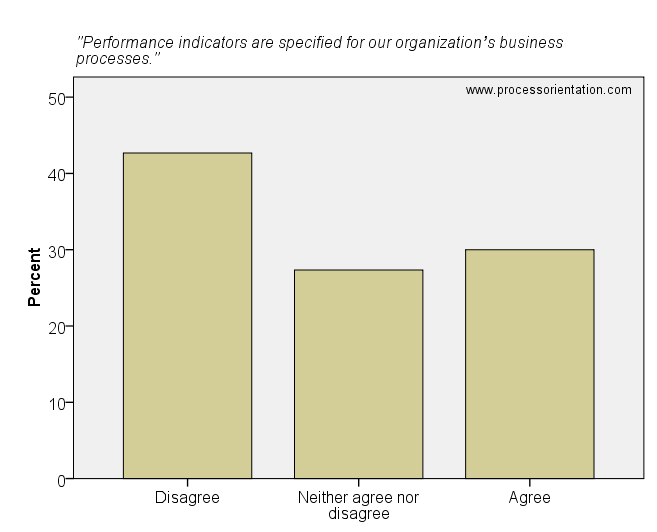 Performance indicators are specified for our organization’s business processes. 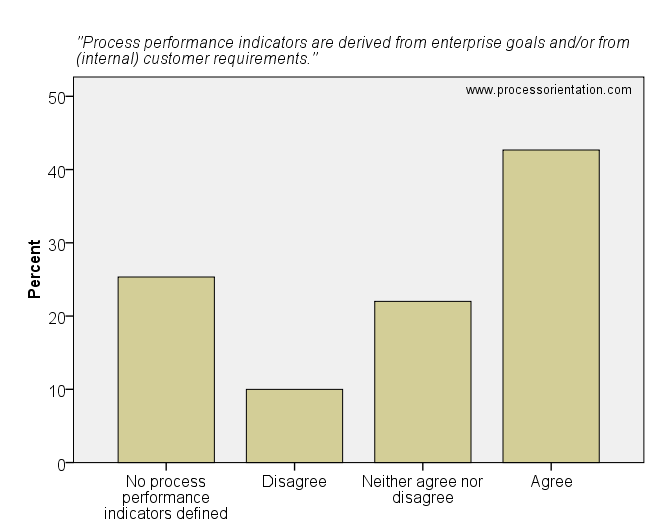 Process performance indicators are derived from enterprise goals and/or from (internal) customer requirements. 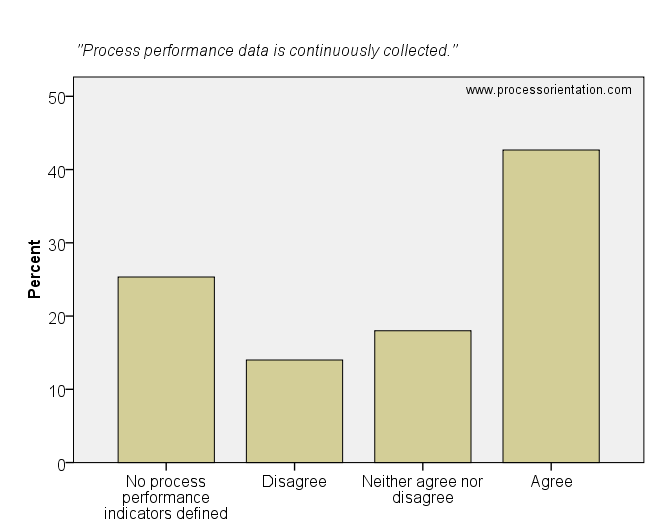 Process performance data is continuously collected. Improvement actions are actually initiated if poor process performance is encountered. 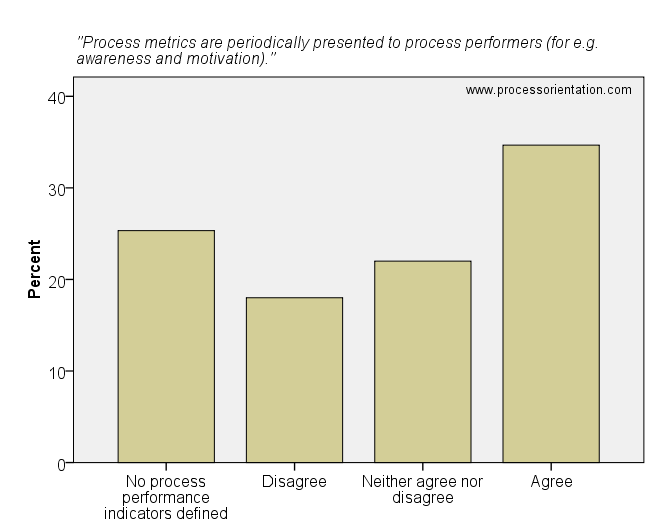 Process metrics are periodically presented to process performers (for e.g. awareness and motivation). 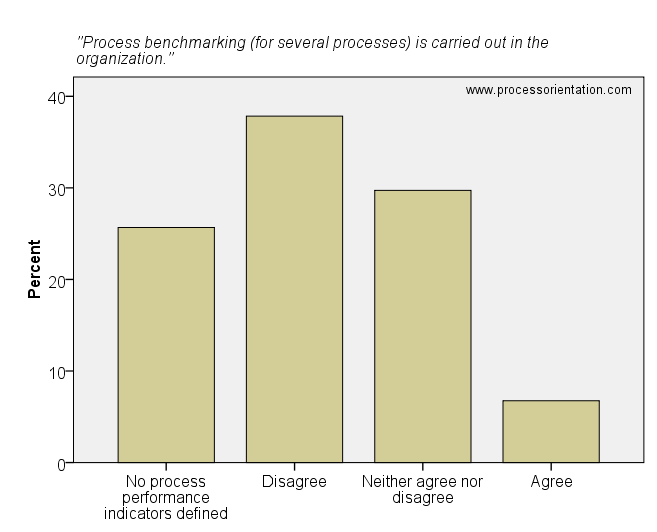 Process benchmarking (for several processes) is carried out in the organization. 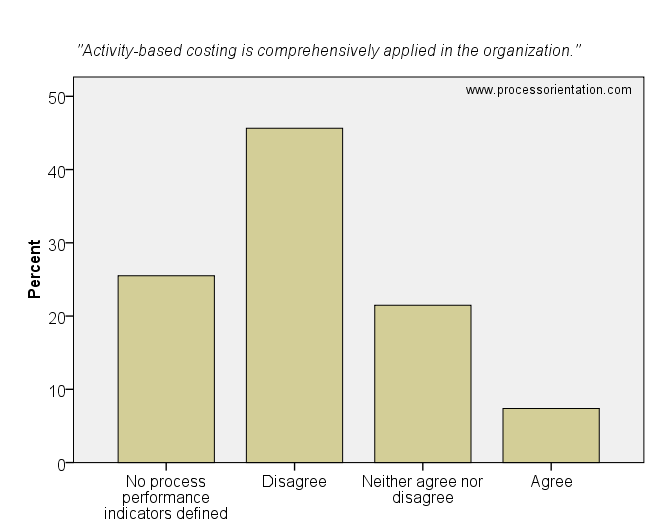 Activity-based costing is comprehensively applied in the organization. 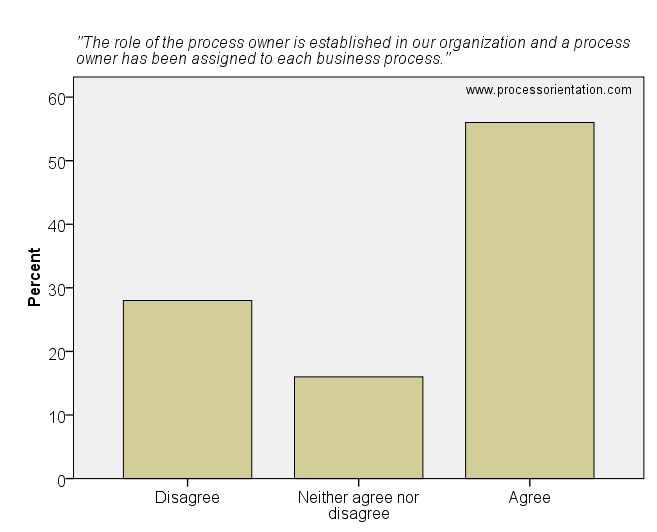 The existence of process owners is the most visible difference between a process enterprise and a traditional organization (Hammer and Stanton, 1999). 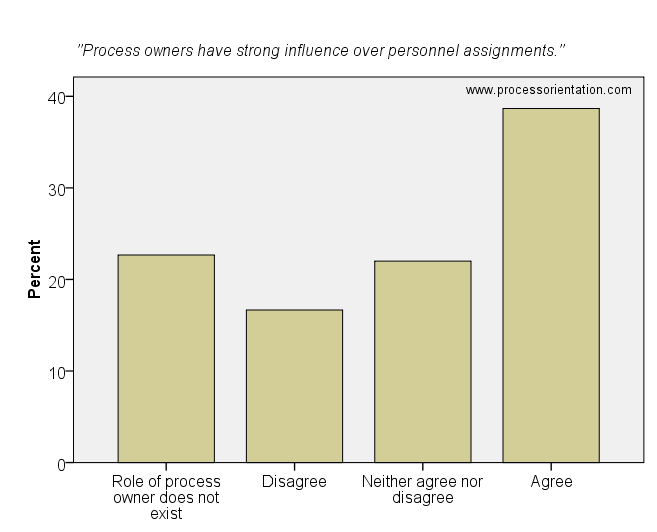 This article discusses the issue of the process owner role of the process management survey. 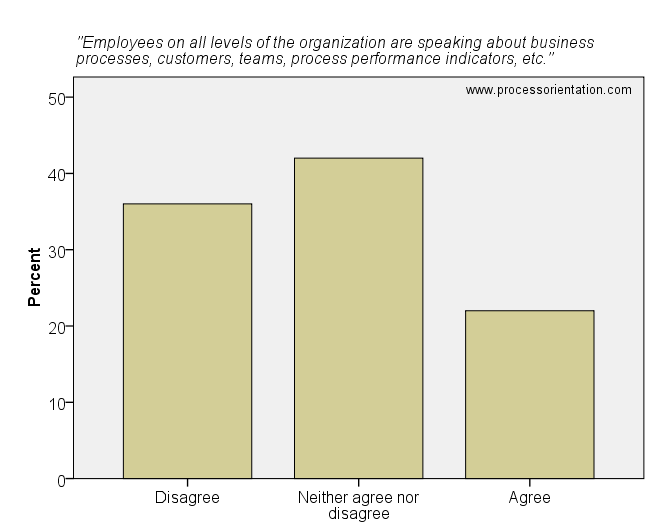 Details on the survey (research design, sample, etc.) can be found here. 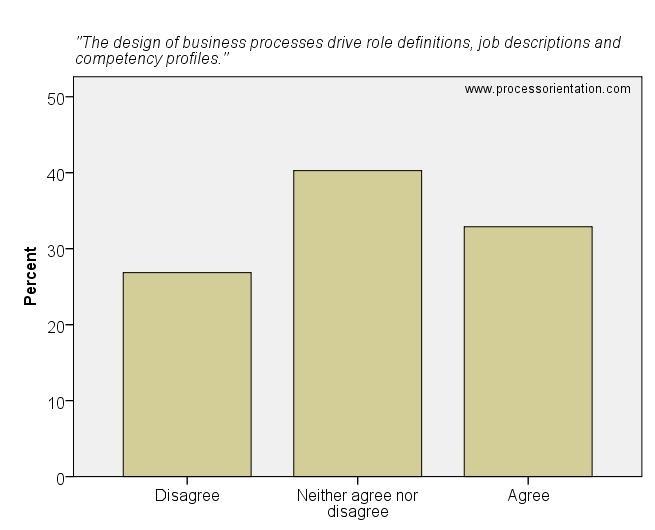 A business process needs to have a process owner having end to end responsibility of the process (Suter, 2009). 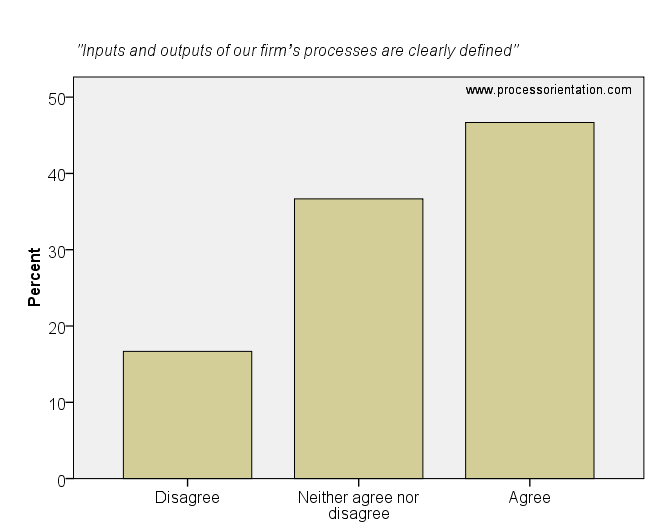 The results of the survey show that the role of the process owner is established in most of the firms (see figures below). 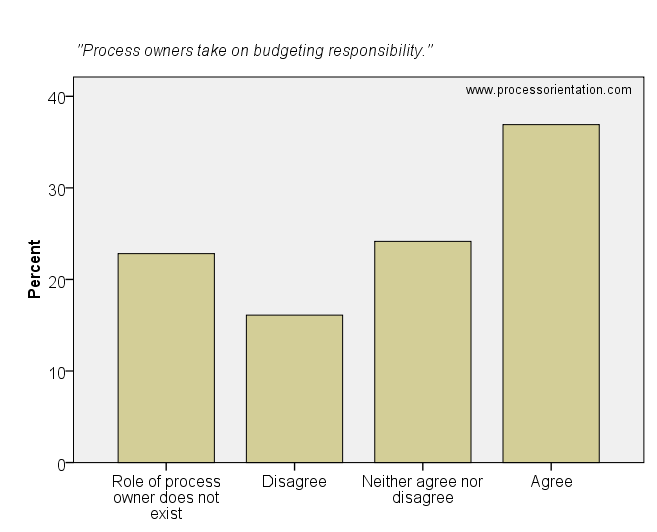 It is worth mentioning that 28% of the surveyed firms state that the role of the process owner does not exist. 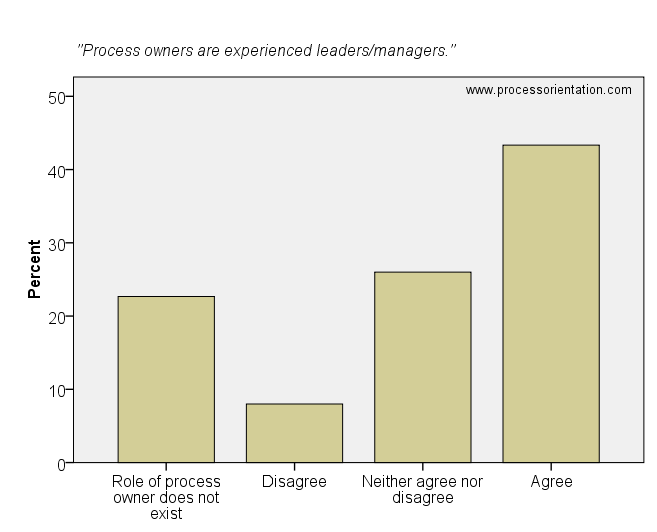 Process owners are experienced leaders/managers. 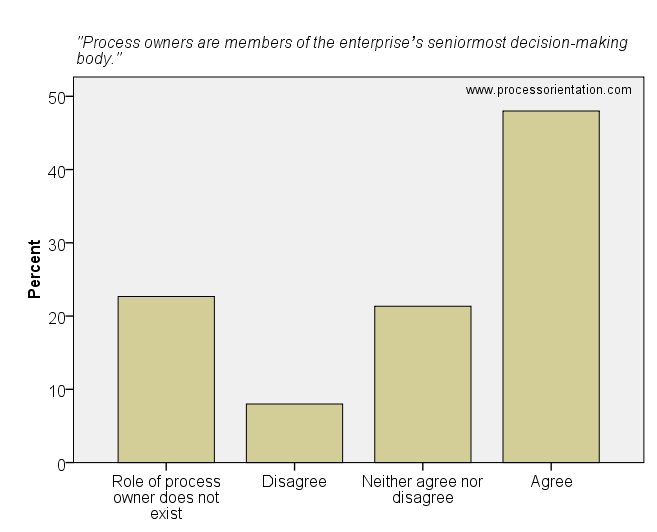 Process owners are members of the enterprise’s seniormost decision-making body. 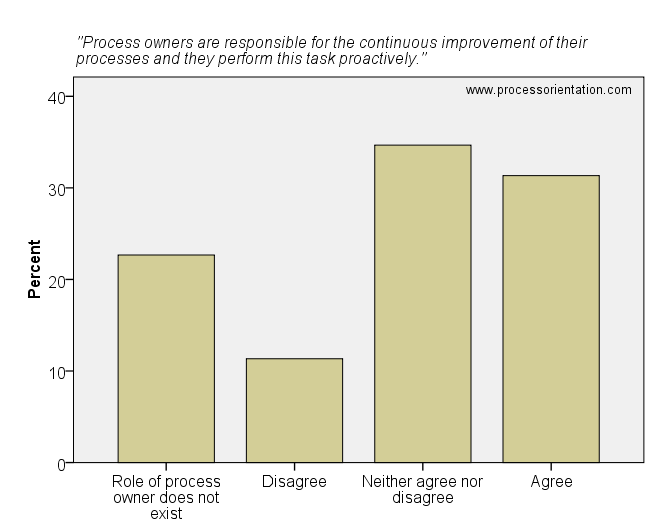 Process owners are responsible for the continuous improvement of their processes and they perform this task proactively. 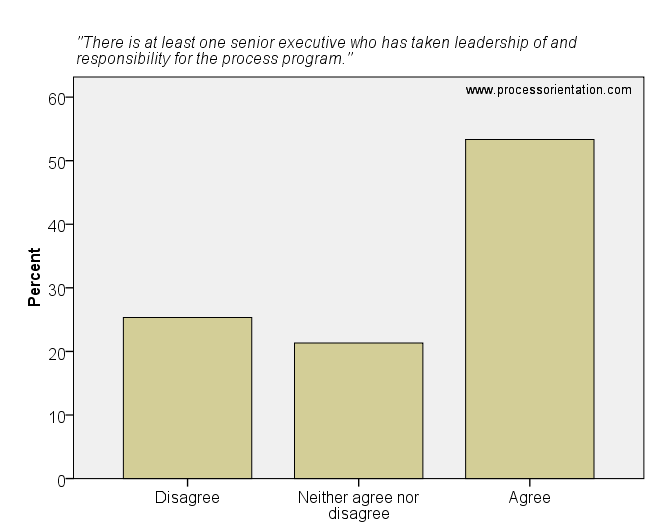 Process owners have strong influence over personnel assignments.